I suppose I define value as this: things that are not transient, volatile or fleeting, for me, hold the most value…Love, children, friendship, work (this is a broad term I realize so let’s define it as the action of working, the passion or productive nature of a work ethic, not necessarily your job title!) parenting, communal involvement…All these things posses a value that is unquantifiable and moreover requires or possesses a profound, unalterable consistency in order to make society function. [There are also the esoteric and more intangible things that hold value but again, I fear I would fall down a rabbit hole and never get out again]. I place an extremely high value on being a parent and being involved in my child’s life, school etc. In my mind, in order to help raise a child with principles, values (there’s that word again), and an ethos of helping others, I have to put the work in. I also value my son as a human being (even in his current, child state) and try to show him the respect (with parental discipline of course) that he indeed exists. Not to mention, what I put in as a parent comes back to me in the (valuable) way of love, friendship, amusement, and a kid who isn’t a total pain in the rear end. Furthermore, when it comes to something like school, I place great value in being involved in my son’s education, or the education system as a whole. Especially in regards to the state system, it is vital that a parent is active in regards to their child’s education and the school community because it truly is a ‘what you put in, you get back’ (or your child does!) system. Not to mention, with all that is being detracted from our schools, they could use all the help they can get. The part where it gets very interesting is realizing that each and every one of us places value on different things. The King for example values cheese and Lego. And to him that’s tantamount (and who am I to judge his 6 year old mind). But his cheese is another man’s mansion and second home in Ibiza. And that second home in Ibiza is another woman’s meditation, religion and community service, and so on. And yes, in the grand scale of things some things are much more valuable in terms of how they positively affect society, nature and the planet as a whole. 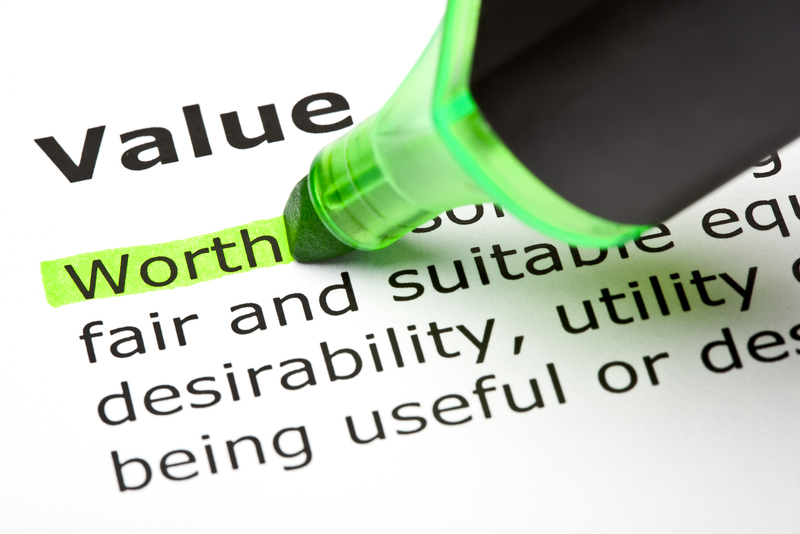 But in regards to each person’s subjective definition of value, well that’s up to them. And that’s the hard part. I know many people who do not place any value on being a full time mother/father (how, I don't know). It’s an age-old argument, who has more value, a homemaker or a woman/man who works out of the home? And there are arguments for both sides. The point being, it’s important that both have value without judgment (or if you’re going to judge it, my best advice is to keep those judgments to yourself). And it begs a mention that mothers/fathers that are raising kids in the home, day in and day out, I'm sorry, they have the hardest more undervalued job out there. It's a life commitment, a day in, day out, 24 hour, 7 day a week, thankless task that is not always viewed by society as something of value. And that's profoundly depressing. Not to end on a 'disturbed note,' I suppose my question to you is, how do you define value? Your value in the world, your value as a parent, a worker, and a human being. It’s definitely something to think about.. and you might just realize that the things you used to put value on can now be thrown over the side of the proverbial boat. Or it perhaps will simply make you think, and be more open to the notion of value and how each and every one of us defines it.